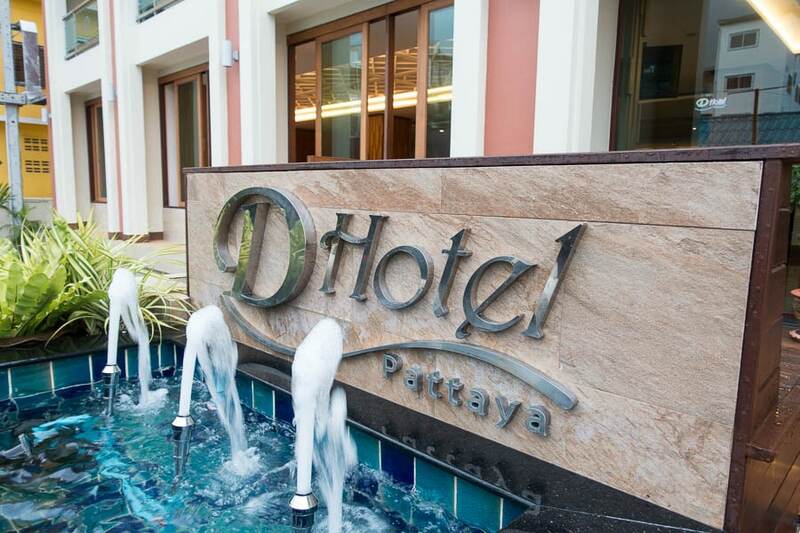 Recently I decided to give the D Hotel a try In a search to experience some new hotels in Pattaya. 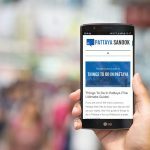 I gave the Page 10 hotel a pass this trip, looking to find a new base of operations in Pattaya that was in a good location and provided good value for the money. The D Hotel came as a recommendation from some friends that had previously stayed there. It has been recently built within the last few years so the rooms were going to be in great shape. 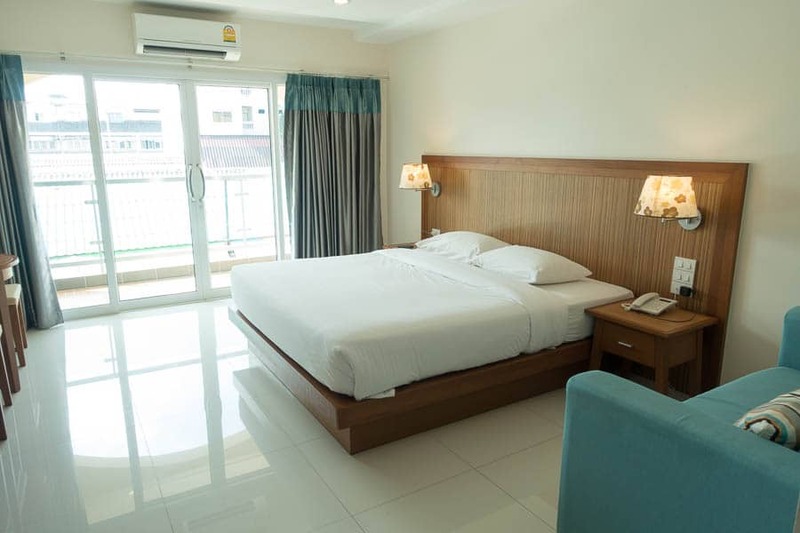 It is a no-frills hotel, actually more like a serviced apartment, and probably well suited for those looking for a long stay in Pattaya. I booked a superior room on Agoda.com , which is their mid-sized room. It had plenty of space and overlooked the quiet street in front of the building. 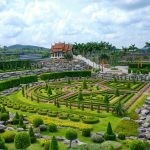 I get the impression they prefer cash as they asked me for a 2000 THB deposit on check-in and didn’t seem to want to take a credit card impression. I was pleased with my stay there and I found the hotel staff friendly and pleasant. It does lack some of the amenities and niceties of a more upmarket hotel, but it was a good value for the money. I’ll share the details, both good and bad, in the full D Hotel review below. As I mentioned earlier, I booked the Superior room which is mid-range at D Hotel. 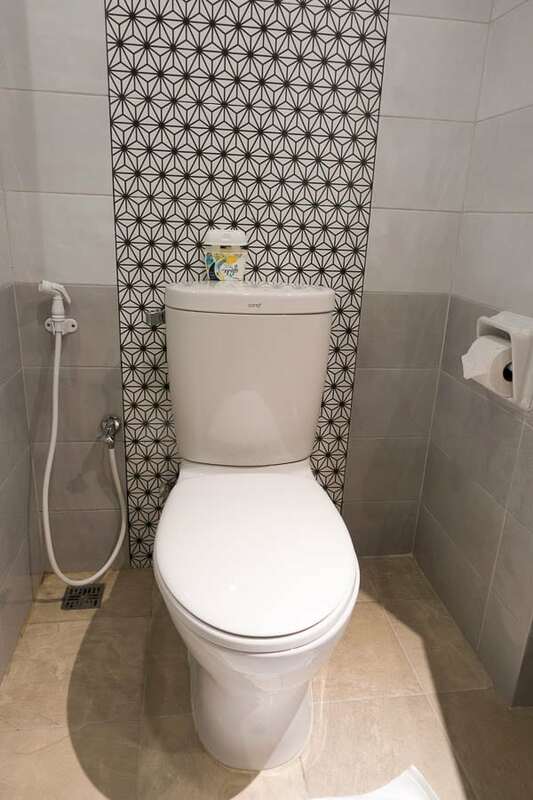 It has a queen-sized bed, couch, balcony, and decent sized bathroom with bum gun. The bed was rock hard and left me with a sore back after a few days. I know most Thai beds tend to be on the hard side which I don’t usually mind, but this one was rough. The couch was equally as hard and didn’t seem to serve much purpose in the room as it is awkwardly tucked up near the wall. The rooms come with a large fridge to hold plenty of drinks and food. 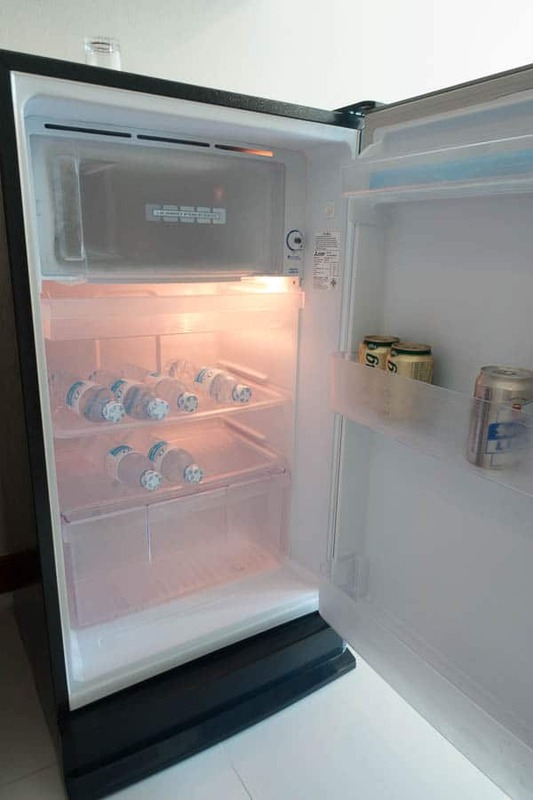 There is no mini-bar so it is up to you to stock the fridge and that suits me just fine. They do supply the standard two bottles of free water per day for shorter stays – no sure how the monthly rentals are treated. The bathroom was a typical Thai style setup. 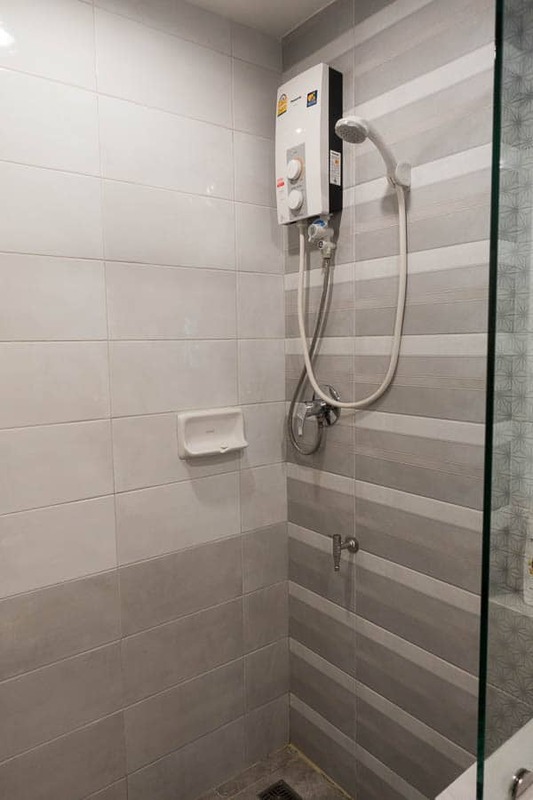 It has a stand up shower with water heater on the wall. The sink does not have any hot water which took a little getting used to for my morning shave. There is a bum gun next to the toilet for those who prefer it. The room is cleaned daily and they do a good job. However, I dislike that they open the doors when they clean as I found a few mosquitoes trying to make themselves at home. The TV isn’t large but a very good size for the room and they have a good cable package with plenty of channels. Too many actually, as I found myself lying about the room watching the tube a little too much. The room also has a small table and two chairs that is great for eating a takeaway meal or something from your fridge. There is a hot kettle and some coffee available which I never used. The aircon works great, but they also have a fan on the wall if you prefer. I thought this was a great option when I didn’t want the full arctic blast of the A/C blowing on me. The wi-fi at the D Hotel is excellent. I never had an issue connecting and the speeds were good. I was getting 30 Mbps download speeds when I checked. They do change their passwords weekly, and you’ll have to go to the front desk to get the new one. I was able to connect multiple devices at one time without any issues. You need to input your login details on each device, unless you bring along a travel router. There is a nice pool on the roof of D Hotel. It is open from 8am till 8pm. There are several sun loungers spread out along the pool side. However there is no umbrellas or shade to get out of the sun. It seems like it would be any easy upgrade to make, but they don’t seem to have any interest it doing it. The other thing that would keep me from spending much time at the pool during the day is the lack of pool bar to get refreshments. If you want some beer, water, or food you’ll need to bring your own. It was a nice pool area none the less, with great views around the city. It was never crowded and only had a few people there whenever I visited throughout my stay. For you frisky tourists who like to swim in the buff, please note the sign posted near the pool area. I’m guessing they’ve had a few complaints if they’ve had to post this sign telling people not to swim commando. The D Hotel does have a restaurant on the ground floor. It rarely seems to have any customers outside of breakfast time, and it even seemed closed in the early evenings most nights. However, I guess it is open to provide room service. I only ate there once during my stay. 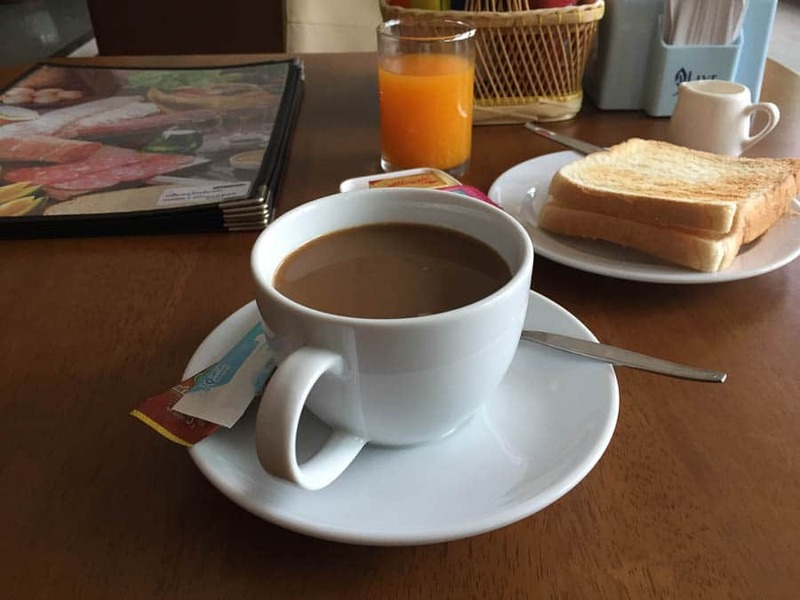 It was pouring down rain and I decided to have breakfast at the hotel since I was famished. I ordered their American breakfast that comes with two eggs, two Canadian bacon, two sausage, toast, juice, and coffee. The eggs, toast, coffee, and juice were all good. 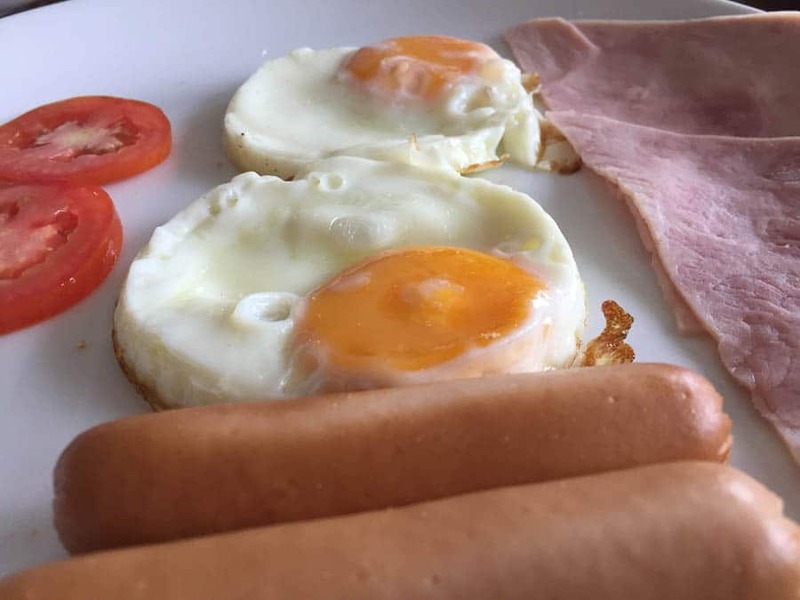 The sausage was a couple of lukewarm hotdogs, and the supposed Canadian bacon were nothing more than a slice of deli ham cut in half. The breakfast did its job of satisfying my hunger, but the best I can report is that it was edible. I always went out for food after that. There are too many good places to eat near D hotel. The staff at D hotel are a very pleasant bunch from the front desk to those cleaning up my messy room. You always leave your key at the front desk when you go out and pick it up when you return. Displaying the extraordinary Thai memory skills, they always remember you. I was always greeted with a smile and hello. Room cleaning was done daily and the place always looked good upon my return. I was getting up rather late after the first few days and they still got the room clean even after a 2 pm departure one day. The one thing that sticks in my mind that separates this level of hotel from something nicer is the lack of doormen. 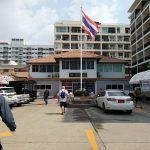 While this is not something I would usually care about, when I checked out I was heading to another hotel down Soi Buakhao – the Adelphi. I asked how I could get a taxi or a ride to take me to a hotel. The lady at the front desk just mentioned I could walk down the street and try and flag one down. At other hotels with door men, they’ll usually run out and get one for you. Again, not a big deal, just something I noticed. As I mentioned several times this is a no-frills hotel so the amenities are limited. There is no fitness center or concierge type of service. They have the pool and jacuzzi, parking spaces for bikes or cars and in the lobby, you’ll find a few computers that are free to use if you didn’t bring your own devices. In the room you’ll find a safety box, water kettle, and a large fridge. The toiletry options are slim and look like they got a deal on sample sizes. I popped down to the Big-C one day and stocked up my fridge and bathroom. They do offer laundry service at the hotel, but it is expensive as you would expect. There is a decent laundry across the street or dozens of other ones in the surrounding area. 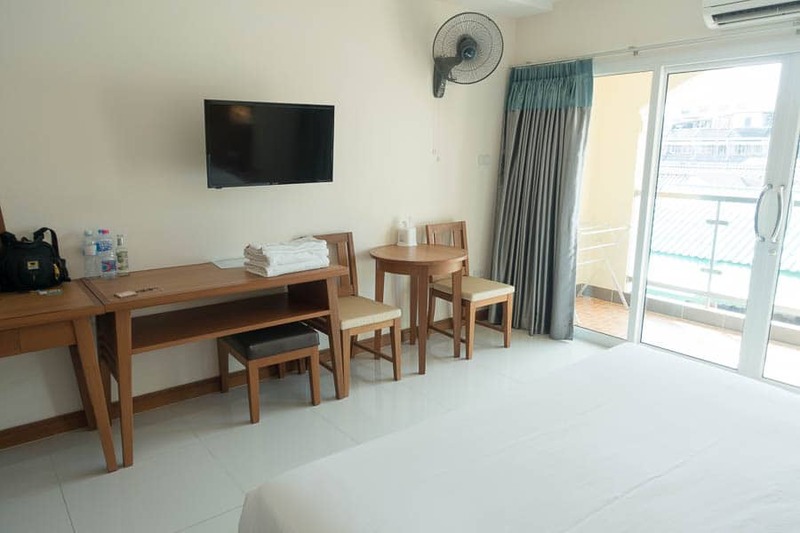 Using a laundry service in Pattaya is a much better deal than having your hotel do it for you. 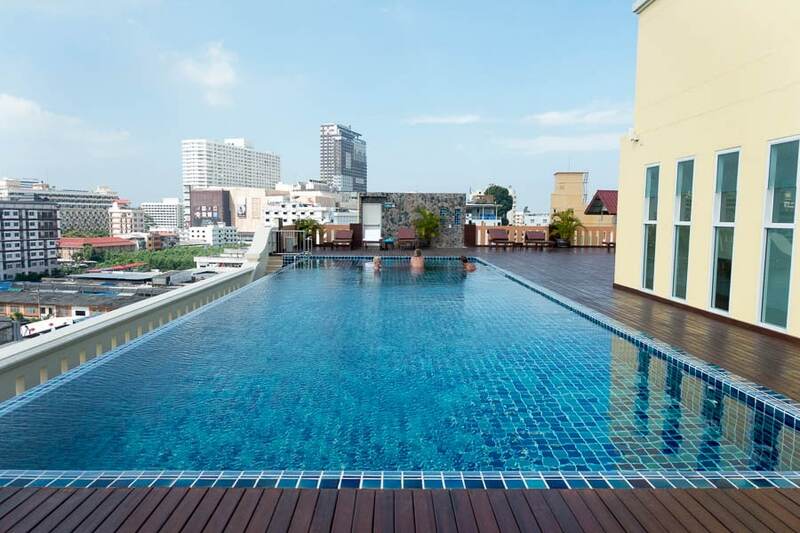 For 1400 Baht a night, I think the D Hotel in Pattaya is a great deal. You get good value for your money in a pretty good location. The standard rooms at the back of the hotel are even cheaper. Location: A quiet street off of Soi Buakhao near Central Pattaya Road (Pattaya Klang).